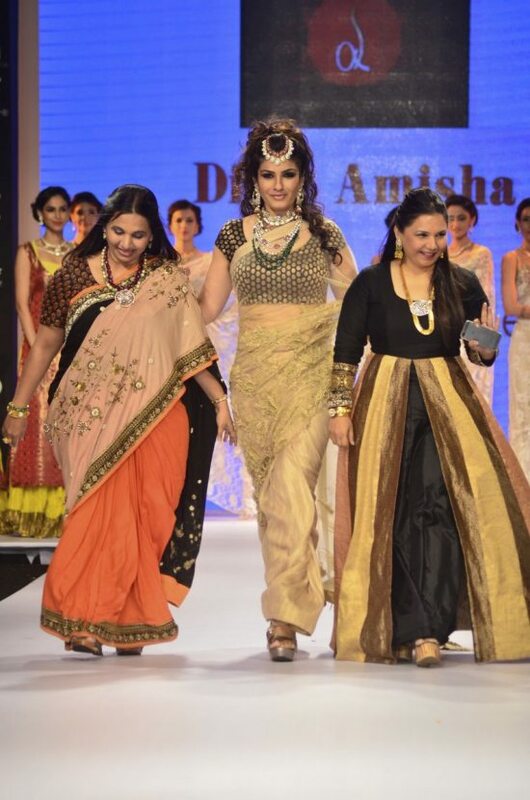 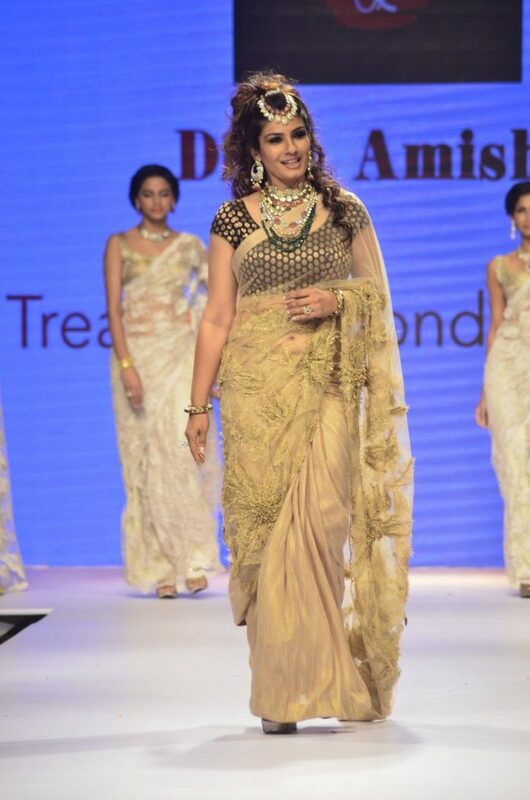 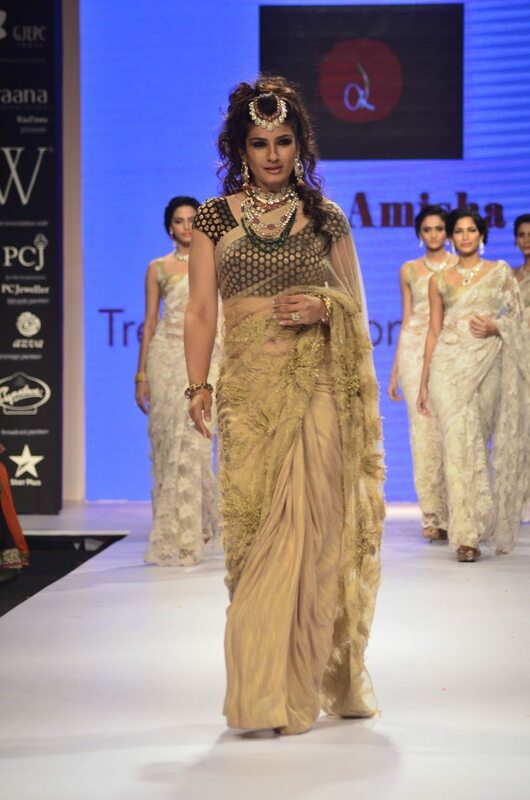 Raveena Tandon makes a comeback on the ramp. 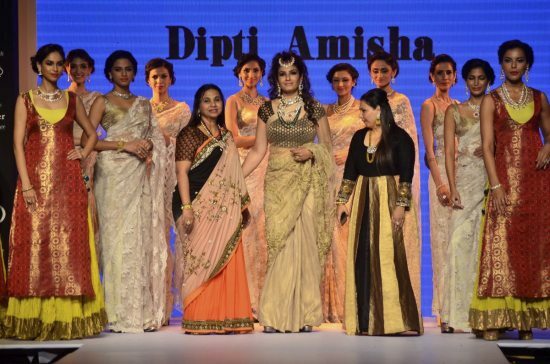 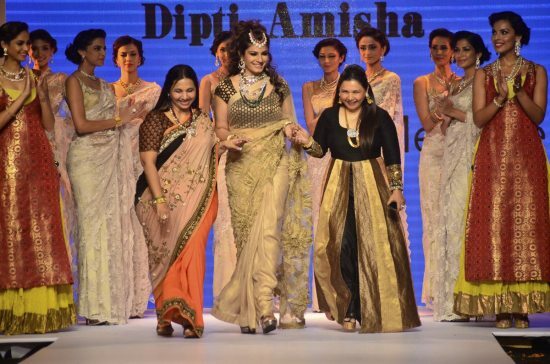 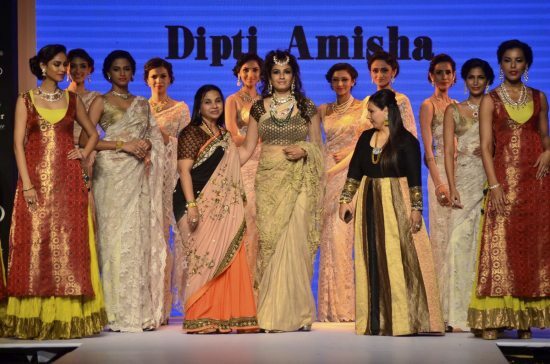 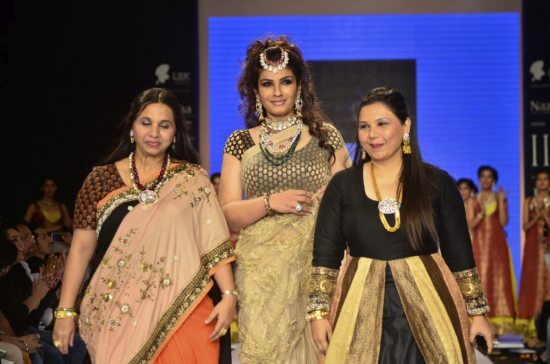 Bollywood actress Raveena Tandon walked down the ramp for designers Dipti and Amisha at the India International Jewellery Week (IIJW) 2014. 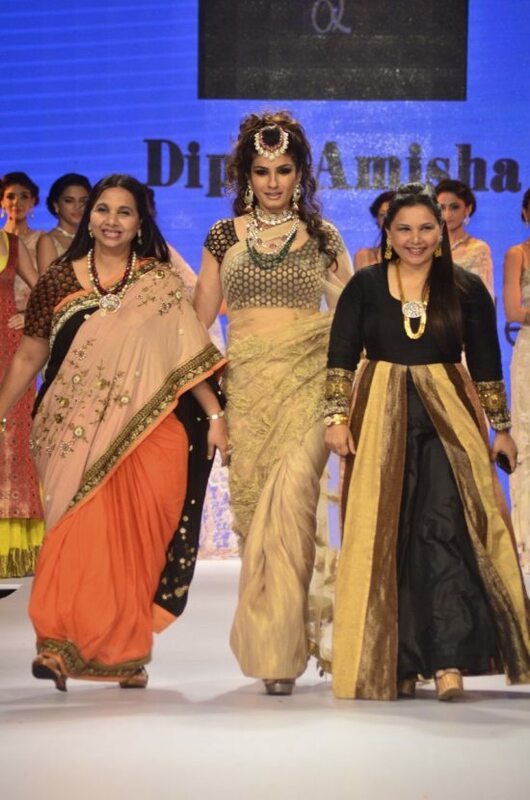 The day 2 of the gala event – July 15, 2014 – which is being held at the Grand Hyatt Hotel in Mumbai saw several stars sizzle the ramp. 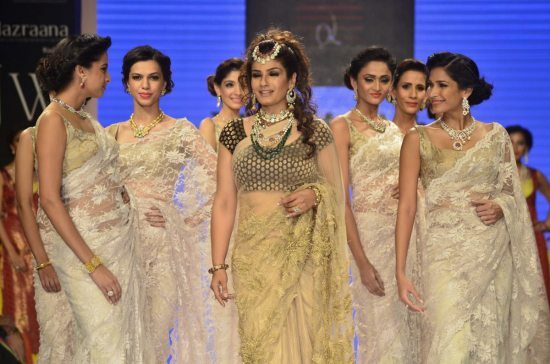 Raveena looked ravishing in a white and gold hued sheer sari paired with a heavy jeweled look. 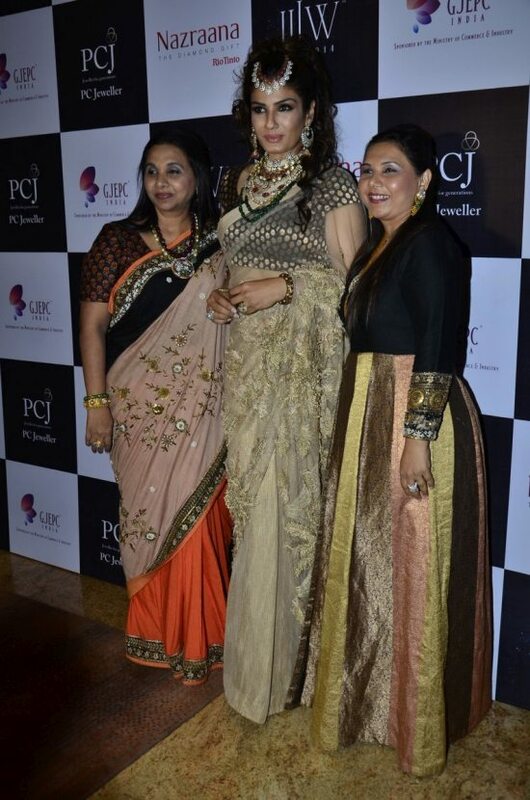 The short-sleeved brocade blouse teamed up with a cluster of exquisitely crafted necklaces managed to give Raveena a goddess-like look. 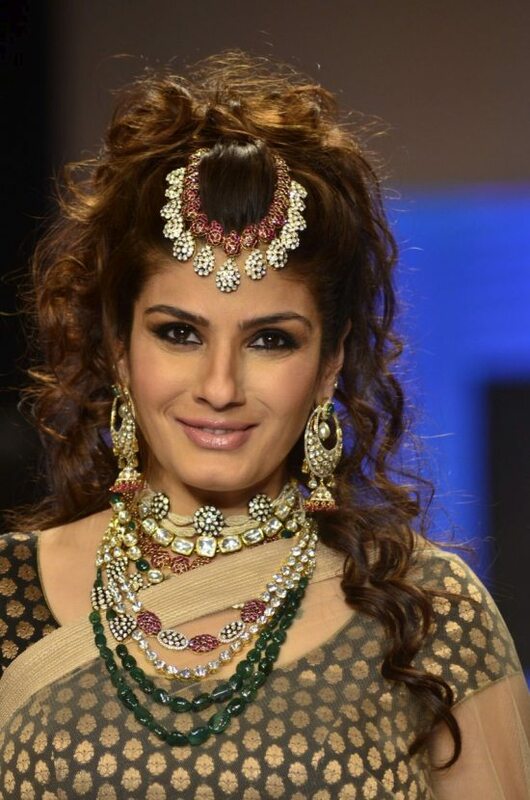 The necklace-tiaras as adornment might have been a slight over do, but overall, Raveena’s ensemble was eclectic and ravishing. 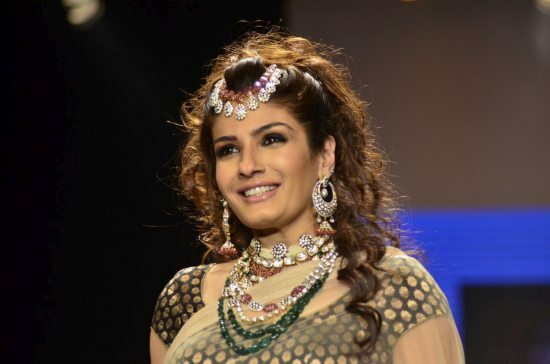 Raveena was a popular Bollywood actress during the 80s and 90s and has acted in many blockbuster movies opposite some mainstream heroes like Akshay Kumar, Suniel Shetty and Sunny Deol. 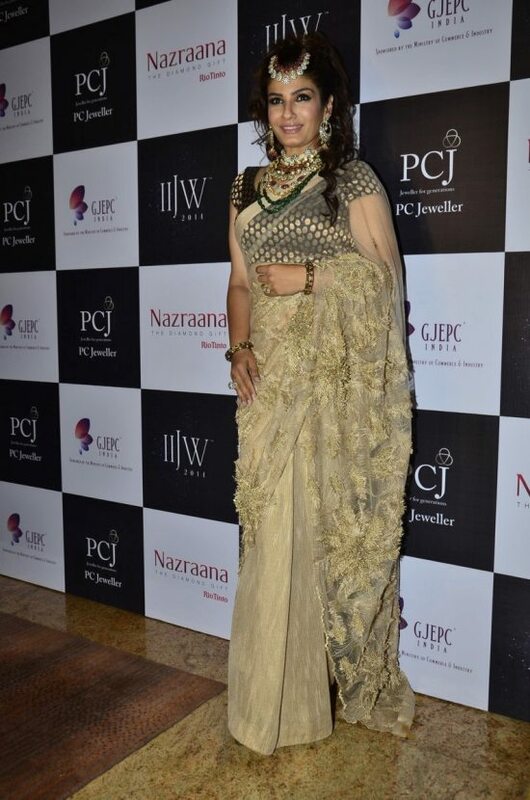 Some of her remarkable movies include ‘Mohra’, ‘Khiladiyon Ka Khiladi’, ‘Patthar Ke Phool’, ‘Ziddi’ and ‘Satta’. 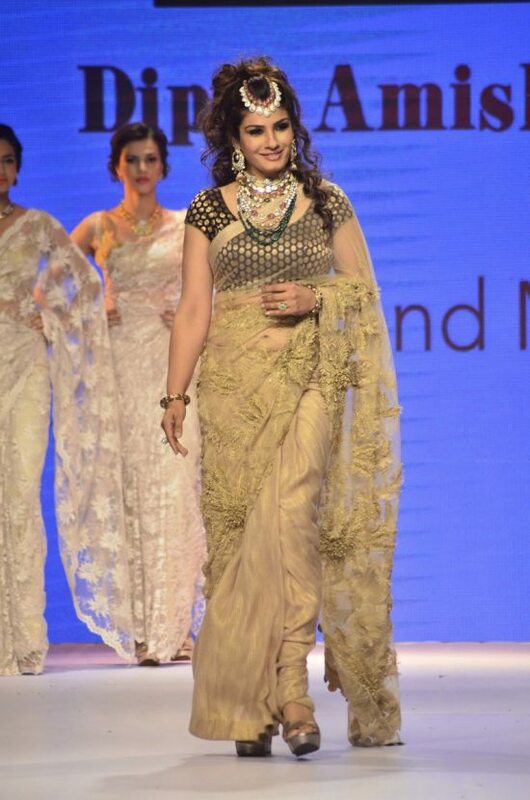 The actress will soon be seen in the upcoming movie ‘Bombay Velvet’.